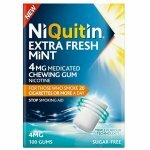 This product strength is suitable for those smoking 20 or less cigarettes a day. 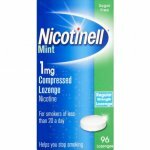 Nicorette lozenges are used to relieve/and or prevent withdrawal symptoms and reduce the cravings you get when you try to stop smoking or when cutting down on the number of cigarettes you smoke. Place lozenge in your mouth and allow to dissolve. Use 1 lozenge when required, usually 8 - 12 lozenges per day. For adults and children aged 12 years and over.